Fruits on reform to enhance connectivity checklist. Planes, working on it. Trains, ticked. Automobiles, working on it. There is still a long road ahead for rising China to sort it its mass transit issues because quite simplify, its volume for ‘mass’ is one for larger than most countries can only dream off. Singapore Airline’s second-in-charge, Mak Swee Wah, summed up what looms on the horizon from China. 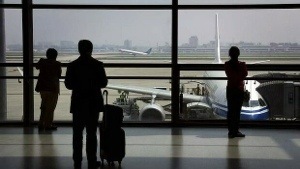 There is no doubt China’s airlines are beginning to flex their muscles. In the case of China Southern, its tentative interest in a strategic stake in Qantas is reflective of a wider foray overseas by Chinese enterprises. Please click here to read the full article at The Age. 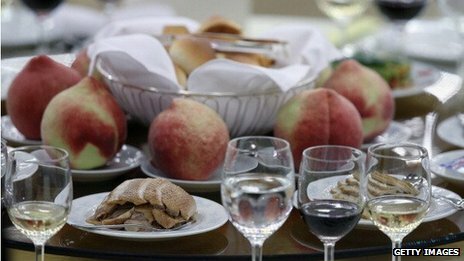 Henan-based Shuanghui Group 双汇集团 in the works to buy the world’s biggest producer of pork to feed the world’s biggest consumer of the meat. China’s Shuanghui International plans to buy US pork producer Smithfield Foods for $4.7bn (£3.1bn) to meet the country’s rising demand for meat. Shuanghui, which is China’s biggest pork producer, is offering to pay for the company in cash. 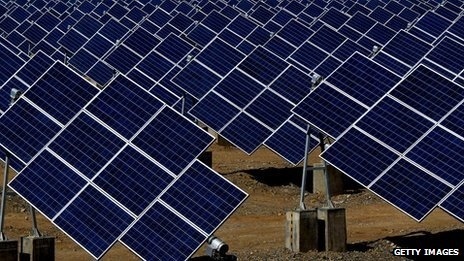 The deal, if approved, will be the largest takeover of a US company by a Chinese rival. Filed under: BBC, Beijing Consensus, Bird Flu, Charm Offensive, China Dream, Chinese Model, Domestic Growth, Economics, Environment, Finance, Food, Health, Influence, International Relations, Modernisation, Public Diplomacy, Reform, Resources, Social, Soft Power, Strategy, Tao Guang Yang Hui (韬光养晦), The Chinese Identity, The construction of Chinese and Non-Chinese identities, Trade, U.S.
To find consensus through a common language is great, but unmatched by the narrative when two are able to speak the other’s native tongue to comprehend the ideologies behind each other’s world view. That there is much attention in mastering Chinese is inspiring for the future. The Chinese are still sparing no expense to master English. A return in favor by the global village will be a positive reply. Apart from committed socialization, perhaps watching Mandarin MTVs (they usually come with lyrics and feature commonly used words and expressions) could be added to the learning repertoire. Have a mental singalong and play mix and match with the lyrics while the visuals provide a useful imprint. Move up to TV shows next. With reading of Chinese characters upgraded, the semantic toolbox gets pre loaded with familiar symbols. Just recall scenes from the MTVs for more advanced idioms for instance. In any case, to treat it as an academic subject is a whole different ball game altogether. The BBC talks about the constructivism underlying Chinese characters and meaning. There’s no way round it: learning Chinese is tough. As far as reading goes, what most dismays native speakers of alphabetic languages is that Chinese characters offer so few clues. With virtually no Spanish, I can figure out in the right context that baño means bath, but that word in Chinese (洗澡) seems to offer no clues about pronunciation, let alone meaning. There seems no alternative, then, but to slavishly learn the 3,500 or so characters that account for at least 99% of use in written Chinese. This is hard even for native Chinese speakers, usually demanding endless rote copying in school. And even then, it is far more common than is often admitted for Chinese people to forget even quite routine characters, such as 钥匙 (key). As a result, there’s been a rising dissatisfaction with current language teaching methods in China in recent years. Is there a better way? 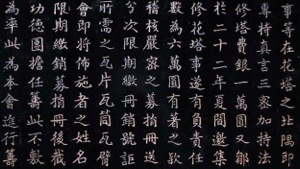 Physicist Jinshan Wu of Beijing Normal University, a specialist in the new mathematical science of network theory, and colleagues have investigated the structural relationships between Chinese characters to develop a learning strategy that exploits these connections. Please click here to read the full article at the BBC. Filed under: BBC, Beijing Consensus, Charm Offensive, China Dream, Chinese Model, Communications, Culture, History, Ideology, Influence, International Relations, Mapping Feelings, Media, Modernisation, Peaceful Development, People, Public Diplomacy, Research, Science, Social, Soft Power, Strategy, Tao Guang Yang Hui (韬光养晦), The Chinese Identity, The construction of Chinese and Non-Chinese identities, U.K. The army has a total of 850,000 officers, while the navy and air force have a strength of 235,000 and 398,000, China said in its defence white paper. The paper also criticised the US’s expanded military presence in the Asia Pacific, saying it had exacerbated regional tensions. 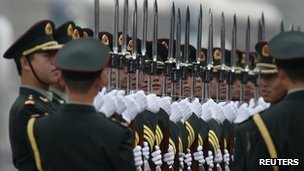 China’s defence budget rose by 11.2% in 2012, exceeding $100bn (£65bn). The defence white paper, which state media describe as China’s 8th since 1998, emphasised China’s “unshakable national commitment… to take the road of peaceful development”. Please click here to read the article at its source. Filed under: BBC, Beijing Consensus, Charm Offensive, Communications, Government & Policy, Hard Power, Ideology, Influence, International Relations, Mapping Feelings, Media, military, Modernisation, Nationalism, New Leadership, Peaceful Development, Politics, Public Diplomacy, Reform, Strategy, Tao Guang Yang Hui (韬光养晦), Territorial Disputes, The Chinese Identity, The construction of Chinese and Non-Chinese identities, U.S.
BBC: China taking steps to turn against wilful and opulent use of public money. Source – BBC: Such was the extent of officials’ spending on luxuries that the clampdown is said to have depressed share prices in high-end liquors. Shanghai’s Hotel Industry Association is, you would think, naturally a conservative kind of organisation. It represents more than 50 five-star hotels, which cater for the city’s rich and powerful elite. The association’s president, Huang Tiemin, is himself a top hotelier and a card-carrying member of the Communist Party. Please click here to read rest of the article at its source.